Aviara is an exclusive, award winning master planned community nestled away in Southern Carlsbad, just 28 miles north of downtown San Diego. While overlooking the Pacific Ocean and Batiquitos Lagoon, Aviara features architectural styled homes, beautifully cultivated golf courses & exceptional schools. 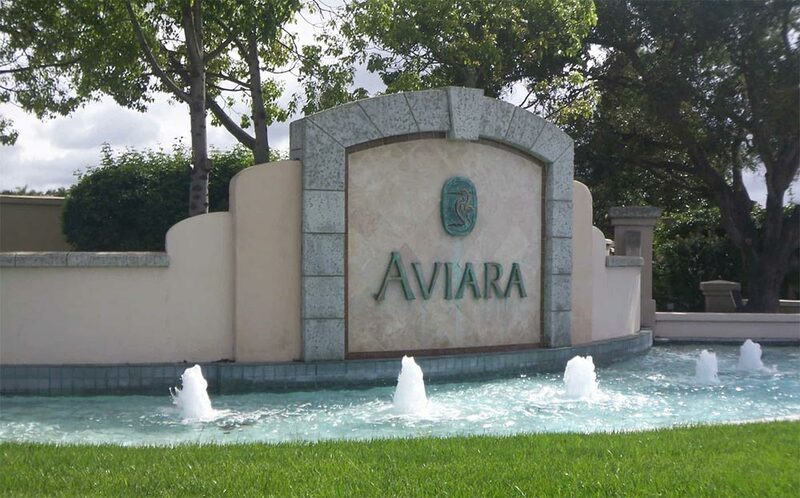 Sitting on just 1,000 acres of highly-desired land, once visiting you will see why Aviara is one of the most successful residential developments in real estate for the San Diego county. Close to the 21 distinctive neighborhoods within the Aviara Community are wonderfully sought after local beaches and offers residents miles of well-maintained trails and walkways to explore. The real estate in the Aviara Community host stylish homes with greatly designed architecture. Many properties within the community offer ocean views and overlook the Batiquitos Lagoon. The types of homes vary on a scale from executive homes, gated condominiums, exclusive apartments and lavish custom homes. The neighborhood residential lifestyle includes singles, young families, professionals, empty nesters and a few retirees that call Aviara their home. Residents of the Aviara Community enjoy the great schools, some even within walking distance. Aviara Oaks Elementary, Aviara Oaks Middle School and Carlsbad High School serve the community with education. These top-notch facilities and staff provide the children with the proper atmosphere and tools to build their skill sets while furthering their education. If you are looking into making Aviara Community a new place where you call home, Masters Real Estate group not only has experience within this local community, but has dedicated Professional Real Estate Experts that can help you find your perfect home. This community is perfect for you if you are looking for a great property investment!